Nuts and dried fruit are products of high nutritional value. Plain as a snack, in breakfast cereal or mixed in salads, they complement a daily diet of high nutritional value. Dried fruit and such as apricots, raisins, figs, prunes, peanuts, walnuts and almonds are rich in carbohydrates, fiber, vitamins and minerals and at the same time low in fat. They are ideal for those involved in sports. The most important thing is for them to be consumed raw i.e. without salt, and in reasonable quantities. 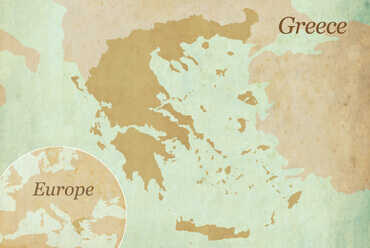 DIOTERRA is a family owned company in southern Greece - Peloponnese, producing top quality healthy products. 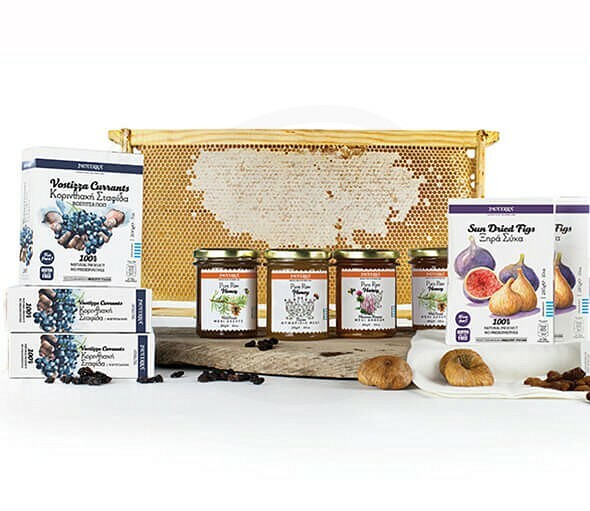 Our passion for the healthy Mediterranean diet inspired us to establish the brand name DIOTERRA, in which we encompassed not only our honey, but also the best quality products that the Greek land has to offer. 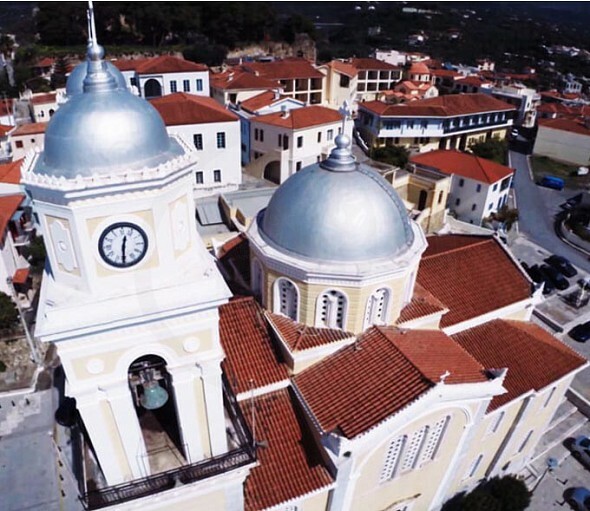 Our aim is to share the flavours we savoured as we were growing up and our vision is to reintroduce on gastronomic choices the authentic treasures abundantly found in the Greek land. Our commitment is to provide 100% natural products of high nutritional value without the use either of additives or conservatives. From production, processing and storage to product distribution, we apply the strictest guidelines in order to guarantee excellent quality. Our company has been certified to the international standards for hygiene and food safety of ISO 22000:2005, and by Agrocert for the trading of PDO products. 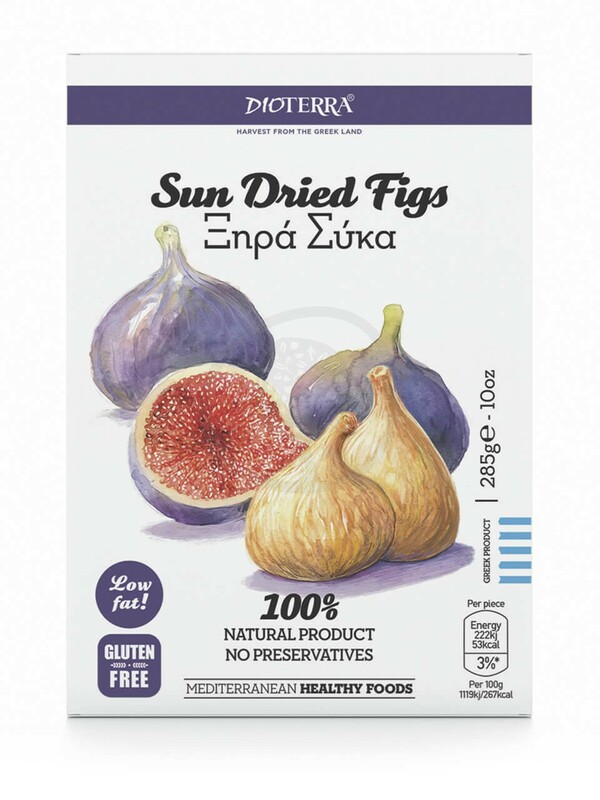 Delicious fully ripened figs, rich in flesh, delicious, nutritious and healthy. 100% natural product, sulfite free, without preservatives or additives.